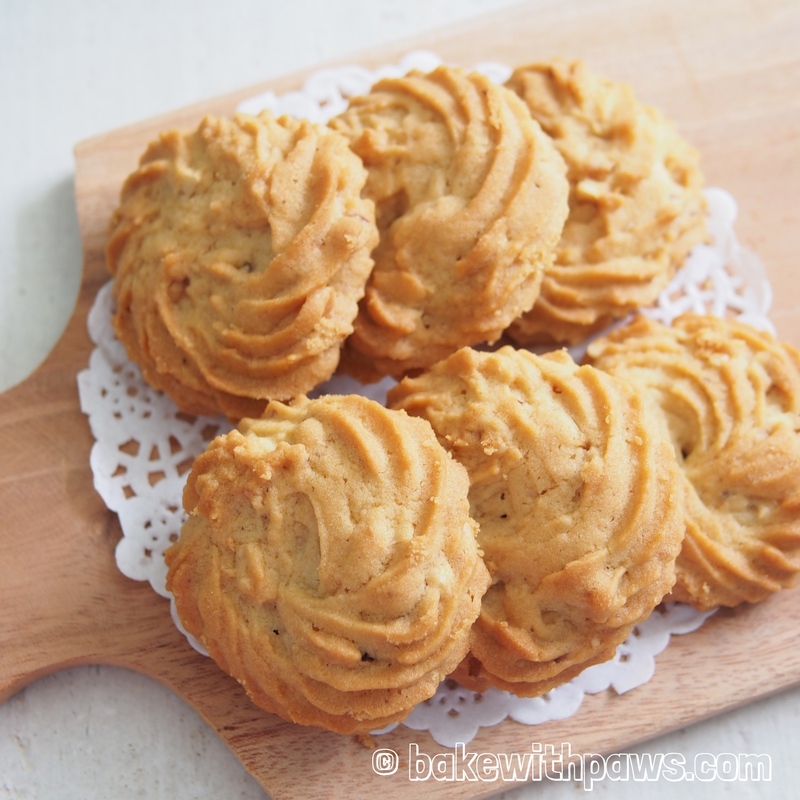 I believe most people would love a crispy, crunchy and light butter cookie like this one. 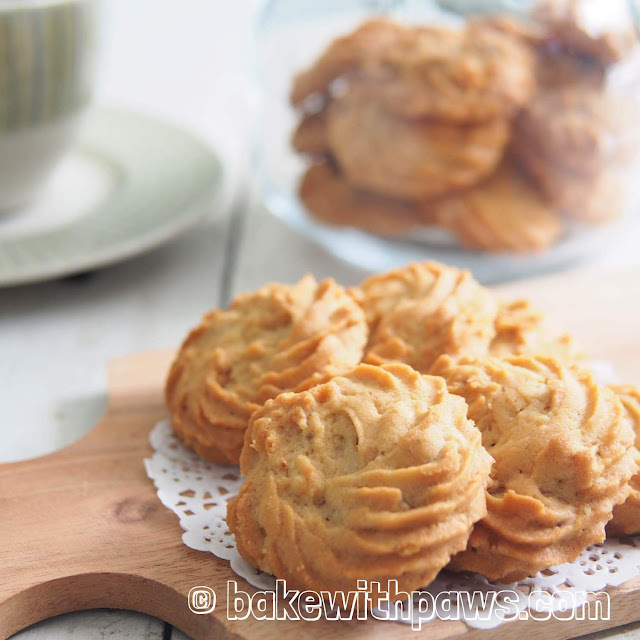 I just made these Hazelnut Butter Cookies last weekend using my Pandan Butter Cookies recipe and they disappeared the next day. You may also replace with other nuts like almonds or probably even peanuts. Preheat oven to 180C. Line the baking tray with parchment paper. Set aside. Sift flour and baking powder into a bowl, stir in salt and hazelnuts. Set aside. In a bowl of electric mixer, beat together butter and brown sugar until fluffy with the paddle attachment. Crack in egg, add in vanilla extract and beat till well combine. Lower the speed, gradually add in flour mixture and mix until form a smooth dough. Transfer the dough to a pipping bag fitted with Wilton 6B noozle and pipe cookie dough into ring shape. Bake at preheated oven for 15 minutes, or until golden brown. Let cool on baking tray for 5 minutes before transferring to a wire rack to cool completely. Store in airtight container. When the recipe asks for room temperature butter, it refers to soft and pliable butter, but not looks shinny or greasy. It is still cool to touch and not warm. During creaming stage of butter and sugar, it will create air pockets in the butter and will yield light cookies or bakes. If the butter is warm, it will not create air pockets and make your cookies harder.